At the practice of Inland Empire cosmetic and family general dentist Dr. Naik, Moreno Valley Dental Care, patients may anticipate a well-rounded, safe environment. He and his staff of friendly, medical professionals value preventive care and education, as these are the keys to maintaining and furthering optimal health. During your appointment with Dr. Naik, we will assess the quality of your teeth and gums, perform oral cancer exams, and take the necessary X-rays. It is our goal to provide patients with not only a beautiful smile – the condition of their oral health carries importance as well. This is why routine cleanings, flossing, sealants, and fluoride treatment are so important. They help to prevent dental disease. During your oral exam, you will need to share pertinent information regarding any medications you may be taking and if you suffer from an illness; these components could impact your dental health. 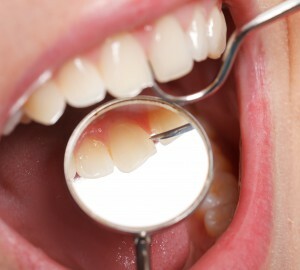 Many people overlook the importance of regular dental check-ups. Visiting with Dr. Naik and his team will only benefit you because it gives them the opportunity to be able to treat any problems in the early stages. During this time, your mouth will be checked for a variety of oral health problems, including tooth decay, gum disease, worn fillings, and any other changes to your teeth and gums. If you are an existing patient, you will also be asked about your medical records, and if necessary, updates will be made. Dr. Naik will also need to know about any illnesses or any medications (including over-the-counter drugs) you are taking. Everyone wants a beautiful-looking smile and a healthy mouth. Therefore, to help a patient achieve this, Dr. Naik will thoroughly evaluate your mouth, gather detailed information, and then make precise records. X-rays of your mouth will be taken, if it is determined that this is necessary; an X-ray is an effective tool that ensures that all treatments or recommended dental care is based on the most up-to-date, complete information. The initial exam is also a good time for Dr. Naik and his team to learn about your individual dental goals. After all of the essential data is collected, a personalized plan will be developed. If you have a complex case and require further analysis, a separate consultation may be needed. The purpose of a recall exam gives Dr. Naik the opportunity to re-analyze all of the areas associated with the mouth, and then compare his findings to previous records. This type of exam is commonly combined with cleaning. A patient whose dental condition has been brought back to good health will receive regular assessments, in order to help prevent the re-development of some of the same problems. Dr. Naik often meets with patients who have an emergency. In fact, some of the patients who first visit his office are there because of an unbearable oral health problem. During the emergency exam, Dr. Naik will thoroughly examine the area that is giving the patient problems. Records and additional information (i.e., X-rays) may be required to arrive at a diagnosis, and the possible treatment options will eventually be explained so that both the patient and Dr. Naik can discuss and decide on the best course of action regarding treatment.